Home Kollywood News Is Radha Ravi set to meet Nayanthara in person to apologize? The veteran villain is in the news for the past few days for his off screen villainy. The versatile actor is quite known for some of his stellar performance on screen and the actor still continues to be active in films. The veteran actor who comes from a legendary family was last seen in the films such as Manithan, Ratsasan, etc. In the recent trailer launch event of the movie ‘Kolaiyuthir Kaalam’ the impeccable villain passed some lewd comments on the lady superstar of Kollywood, as a reflection to his comments condemnation poured in from all direction in the industry. Many celebrities took this issue to their social media account and expressed their disappointment and frustration on the actor. Singer Chinmayi, who had some brawl with the dubbing association head, was quick to reflect on the issue and slammed the actor for his senseless comments. The actor faced condemnation even from his own family members; the former actor’s association president’s own step sister, actress Radhika Sarathkumar expressed her disappointment on his comments, saying, “The comments were tasteless.” The actor’s step niece Varalakshmi Sarathkumar for her part slammed the actor for his speech and expressed her support for singer Chinmayi. The actor’s association has also released a strong statement against the actor for his comments on fellow actress. Not just stopping with condemnations the versatile character artist’s comments has cost him his place in the DMK party. 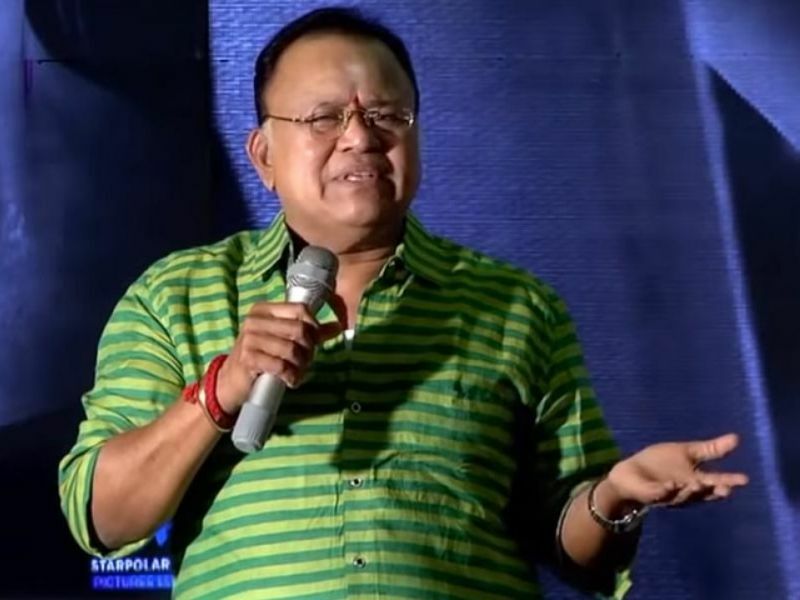 The party as a reaction to the actor’s comments has released a press release on 25-3-2019, in which it has announced that the actor is suspended from the party as his behavior has brought awful name for the reputation of the party.